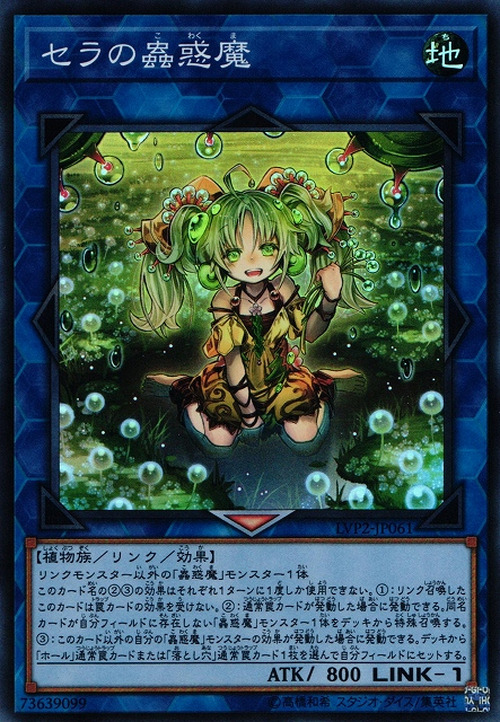 This Link Summoned card is unaffected by Trap effects. 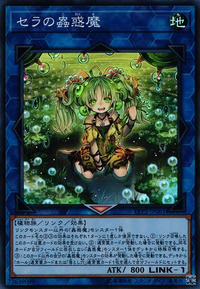 You can only use each of the following effects of "Traptrix Sera" once per turn. ● If a Normal Trap Card is activated: You can Special Summon 1 "Traptrix" monster from your Deck, with different name from the cards you control. ● If your other "Traptrix" monster's effect is activated: You can Set 1 "Hole" Normal Trap directly from your Deck. This monster is based on the Drosera genus of carnivorous Plants. These plants use the droplets of mucilage generated from glands in their leaf surface to lure, capture and digest their preys. Those droplets can be seen in the upper corners of this monster's artwork, as well as decorating its hair.